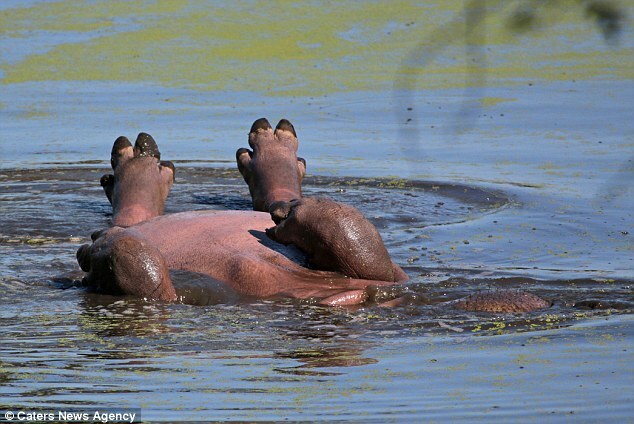 The huge animal was spotted lying on its back in the water with its legs in the air as it made the best of the good weather. 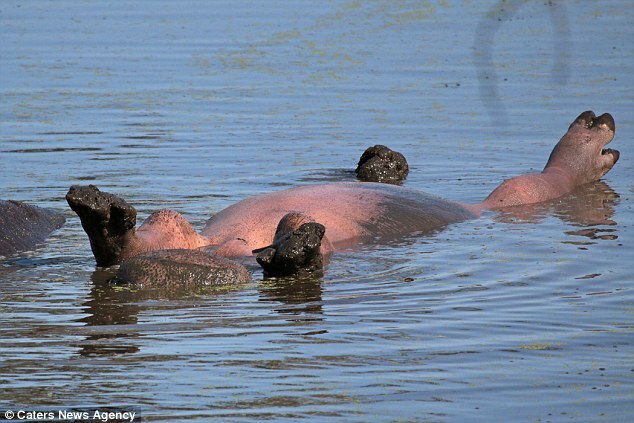 The hippo was photographed at Kruger National Park, in South Africa, by photographer Jackie Cilliers, who was surprised by the bizarre scene. 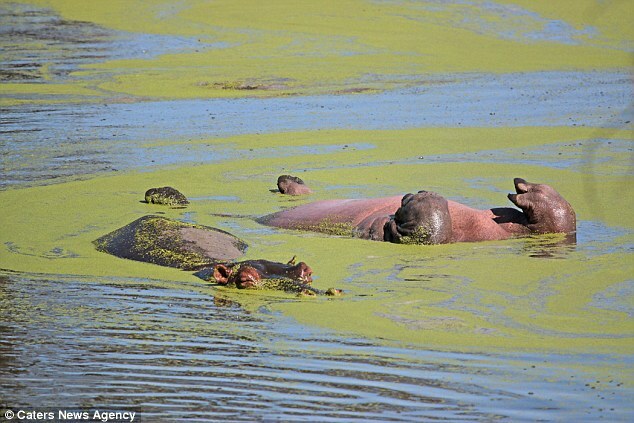 The 52-year-old, who was on holiday with her family, took the pictures from a hide about 10 metres from the hippo. 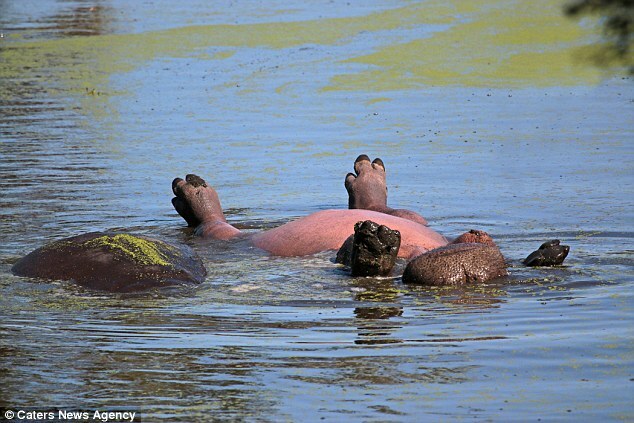 Initially she thought the mammal might be injured, but instead it looks like it was trying to tan its bright pink belly. 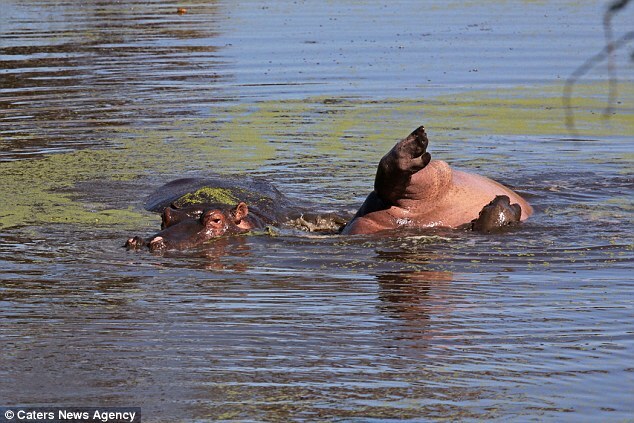 Jackie said: 'The images show the hippo pushing off his friend, rolling over, relaxing on his back and yawning. 'At first I thought that it might be injured or ill, but it happened several times and remained stationary on its back for several minutes at a time. 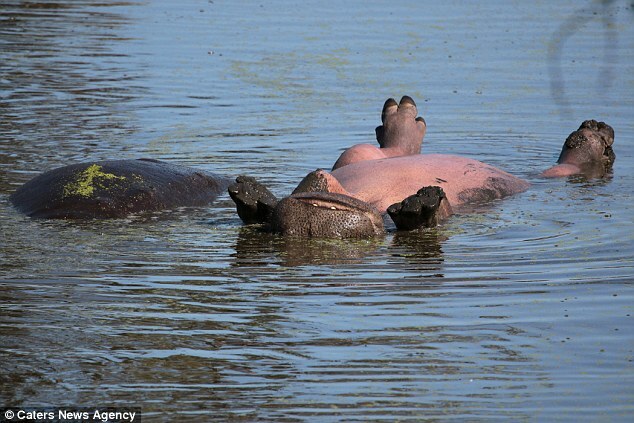 'It seemed to enjoy being upside down. 'I was surprised and pleased with the images, as were the others in the hide, several people were chuckling at the antics. 'What I love most is his pink tummy. 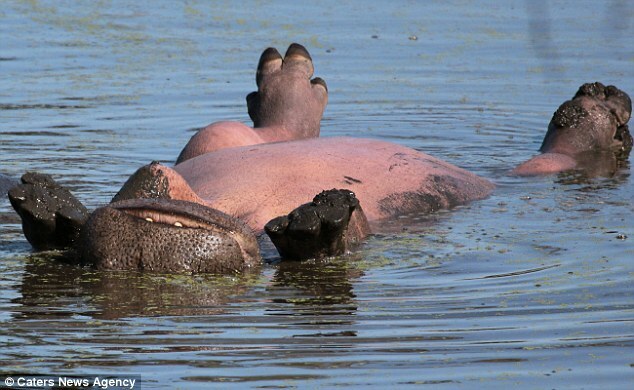 Responses to "The sun-loving wild hippo floats on its back as it relaxes in South Africa "
Animals feels happy, not only humans do. This is lovely story.